The people of Haiti have had more than their fair share of tragedy and disaster over the years — economic, social, and environmental. But there is hope — and we are working with the most disadvantaged communities to build new opportunities that are paying off in very real ways. Lunes Duvil is a quite the character. Tough as nails, but with an impish grin, she talks loudly and laughs easily. Here on the side of Route 9, everything is loud, as endless trucks, buses, and motorbikes roar past, crashing gears and bouncing through potholes. 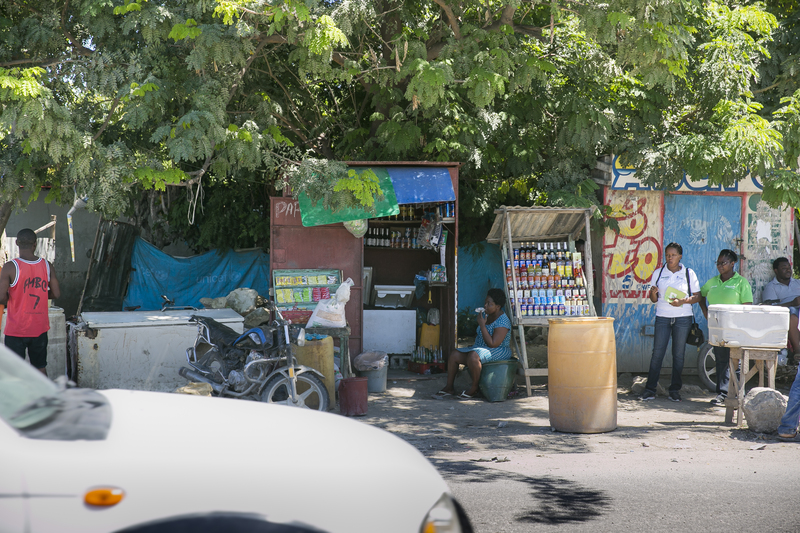 Known as Route Soleil, it connects the west of Haiti with the north, and serves as the boundary of Cité Soleil — which the internet will tell you is the biggest and poorest urban slum in the Caribbean. Lunes is part of an ambitious project to bring new hope and opportunity to an area where that has been in short supply for a long time. 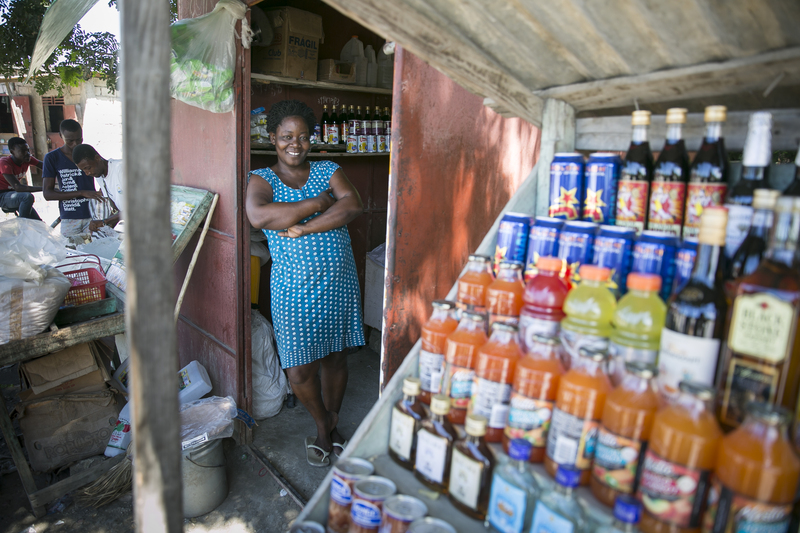 Lunes was one of an initial group of 400 people (mostly women) who were chosen by members of their own community to benefit from cash payments, life-skills and business training, and a lump-sum business investment. And it’s already making a difference. 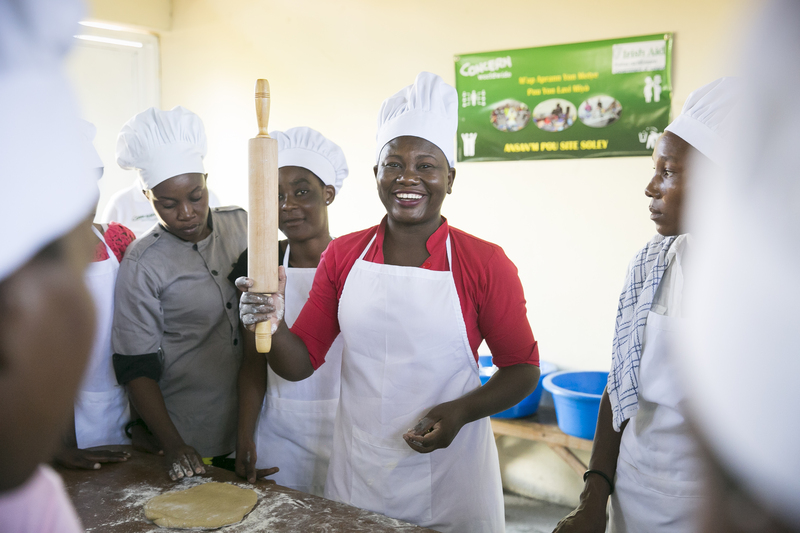 Ultimately, her family is the beneficiary of her efforts — more (and more nutritious) food on the table and school fees for the education that will transform their young lives. The cookery skills class in full swing. Like so many others here, she has scraped by on petty trading for years — but her young family has been living on the edge. “I can only afford to send some of them to school,” she says. 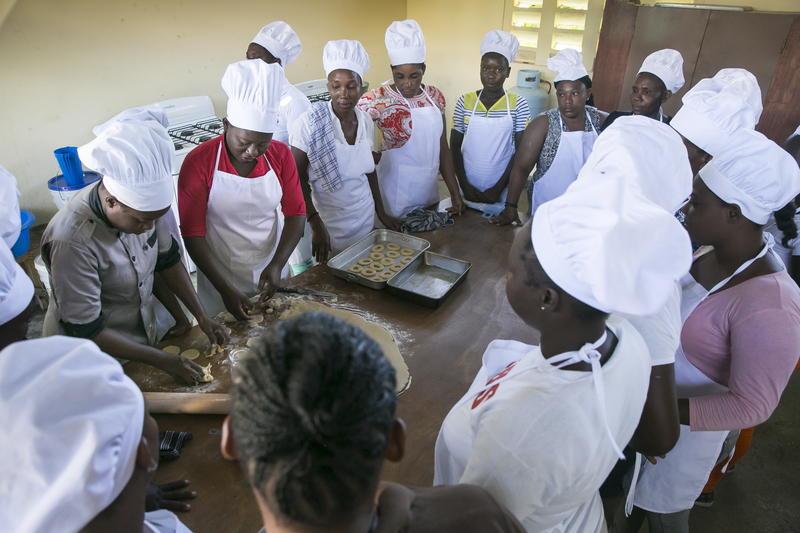 Annual school fees are around 10,000 Haitian gourdes ($130) and half of that amount is due at the start of term — a huge cost burden for a low-income family. Rose-Laure is determined to grasp any opportunity that comes her way, so we expect to be buying our donuts from “Heads Together” bakery on future visits to Haiti. It’s the distinctive sound of learning, but these are no kids. 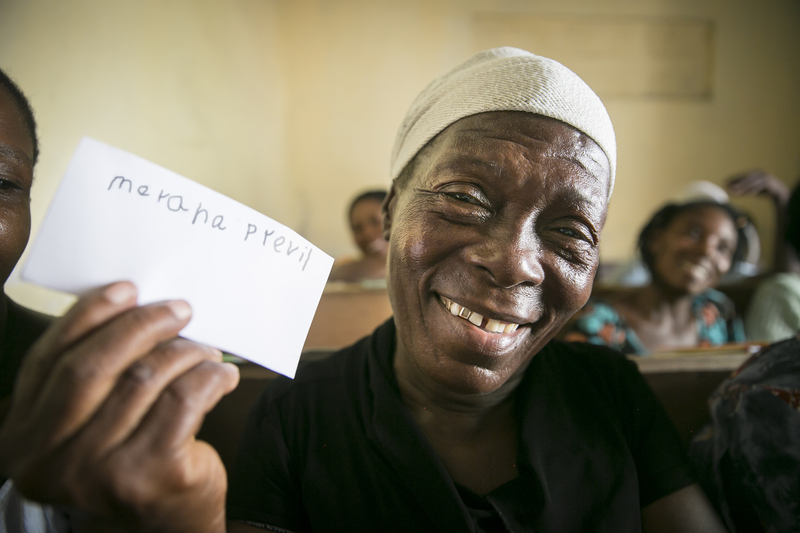 Merana Previl and her fellow students are taking part in Concern’s adult literacy and numeracy training project — they’re learning to write and count. For many, it’s the first time they have ever received any kind of formal education. Merana is 63 years old. Her parents died when she was young and she found work to support her brothers and sisters. They went to school… she never did. “I am so happy to be here, learning,” she says, smiling broadly. The skills being taught here may be basic, but the value to those who are learning is immense. This is not just a novelty or a gesture — it’s enabling people to achieve a sense of self-worth and dignity that comes with knowledge. It’s drawing a line under the past and putting up a signpost to the future. 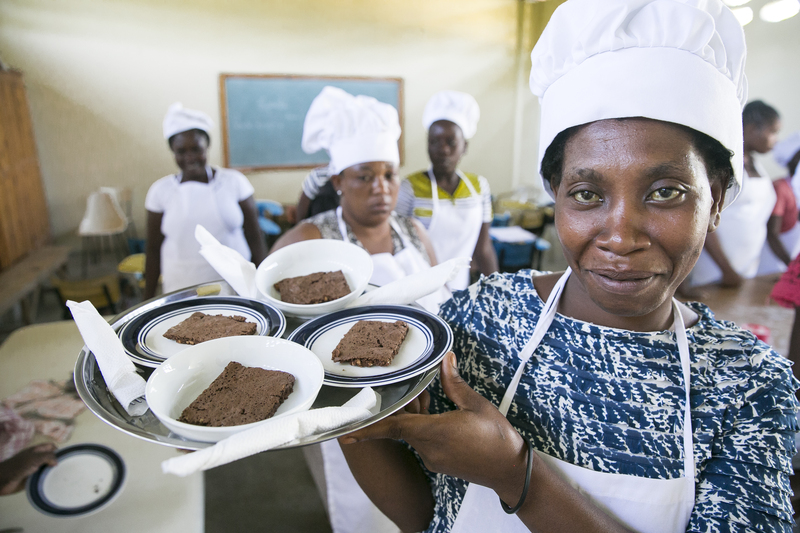 A new and better future for the people of Haiti requires two things: opportunity and support. The Concern team goes to work every day knowing it’s our job to help secure both. 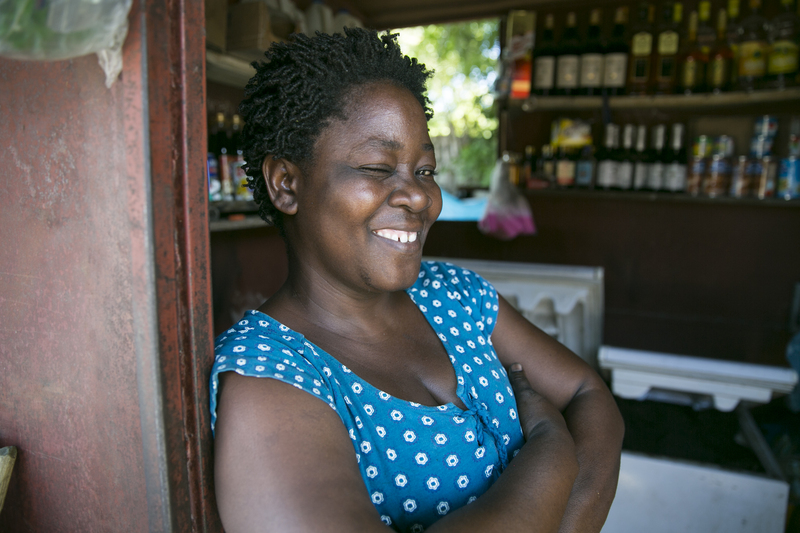 We are on a journey toward lasting change with people like Lunes, Rose-Laure, and Merana. You can join us. 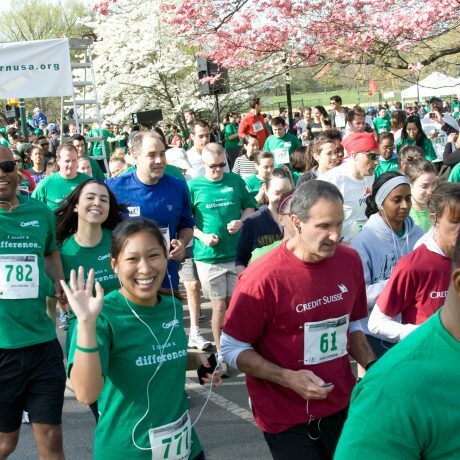 This year's Spring Run will raise funds to fully fund a project in Cité Soleil, Haiti, designed to protect the community against flooding and disease. It's a fun way to show your support! Saturday April 6th, NYC. Amazing things are happening in a small classroom on the edge of Cité Soleil.